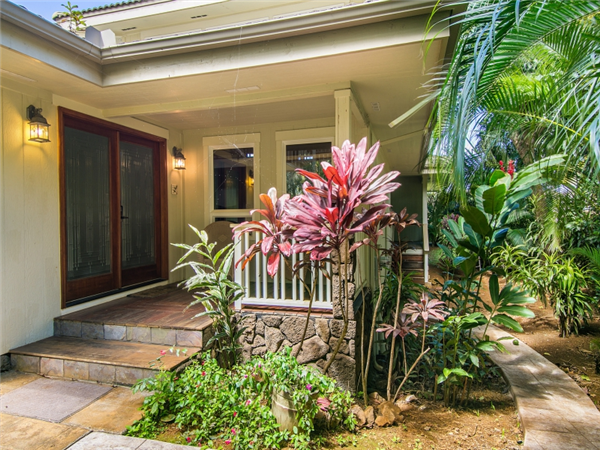 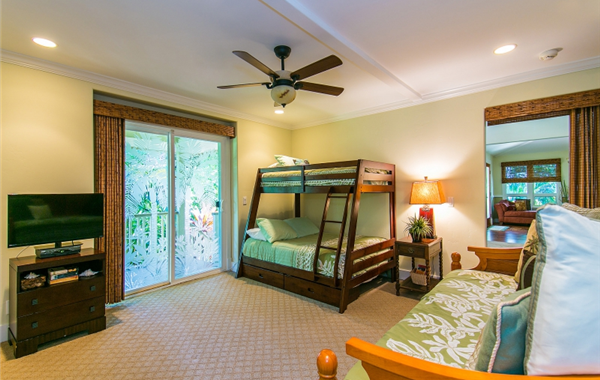 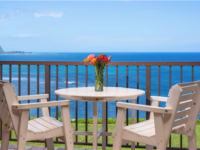 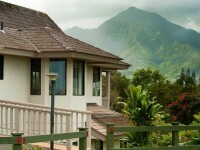 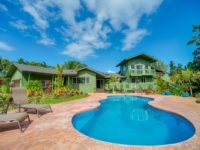 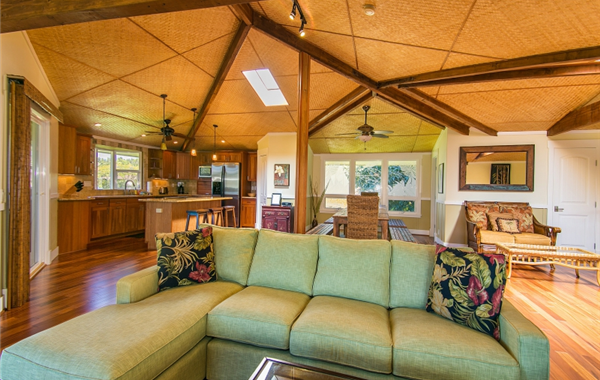 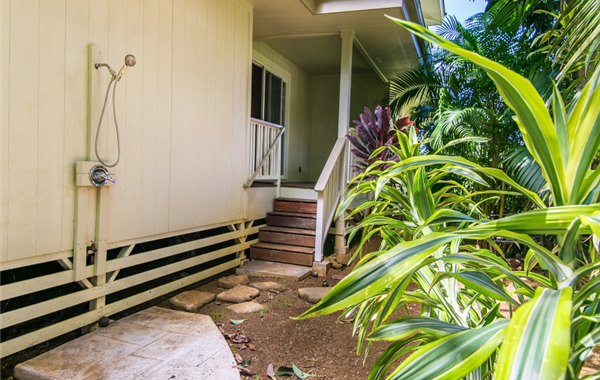 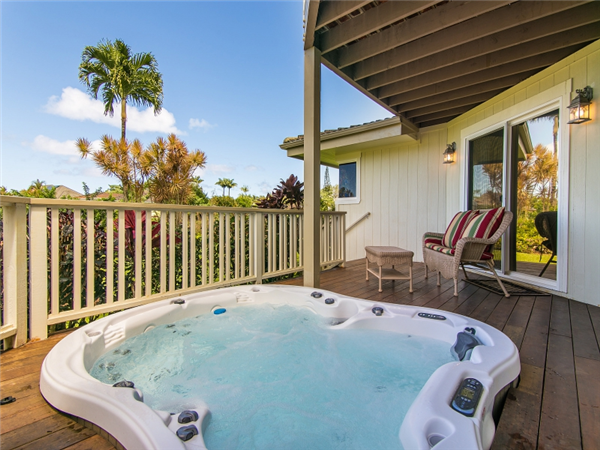 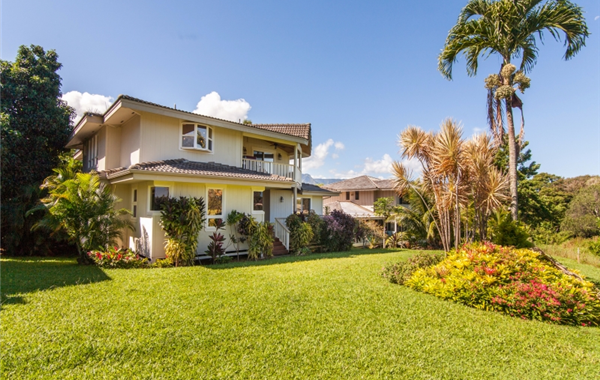 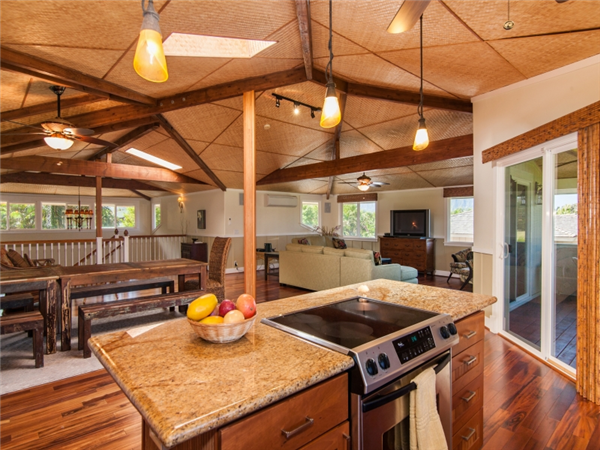 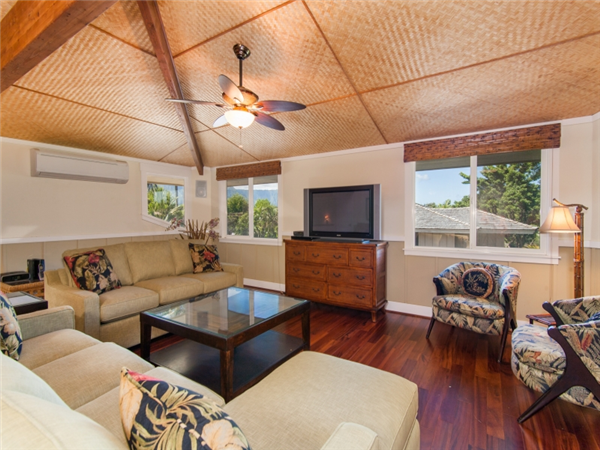 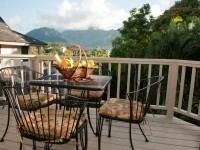 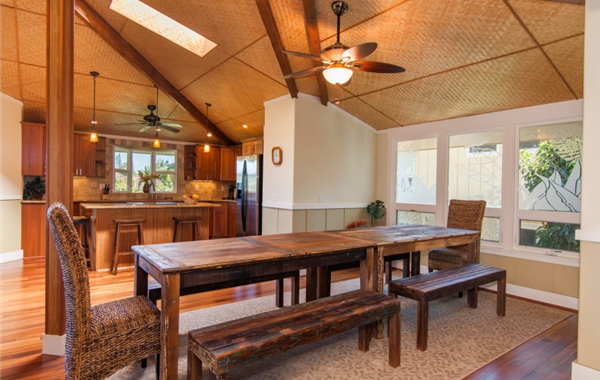 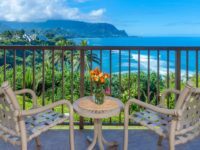 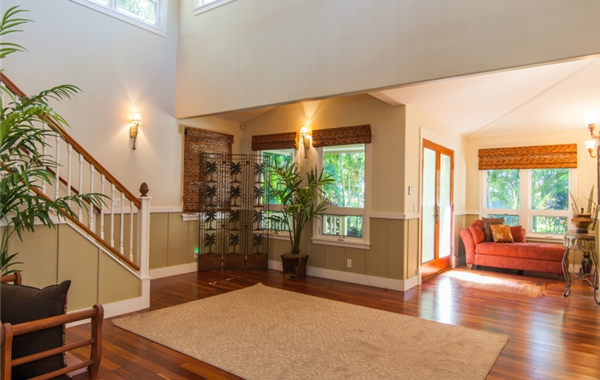 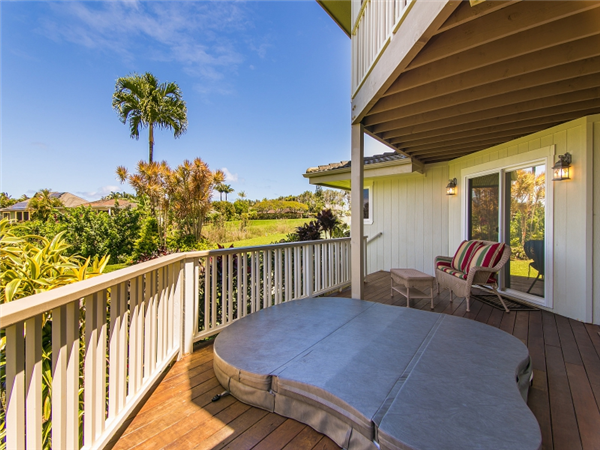 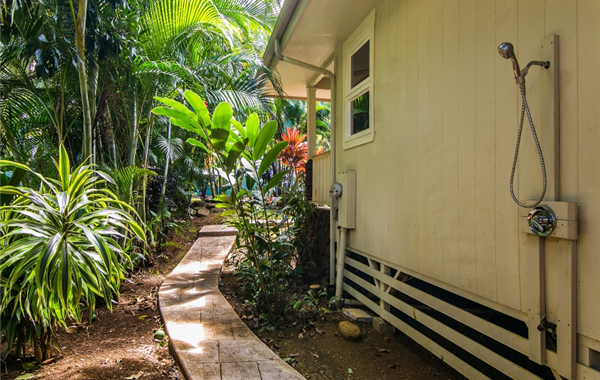 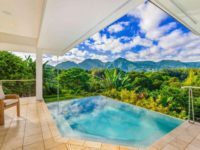 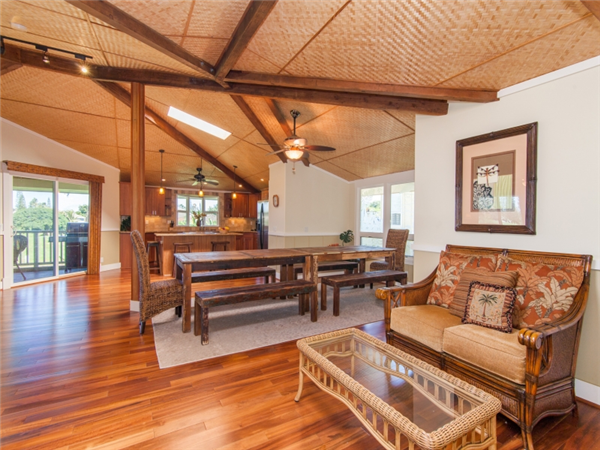 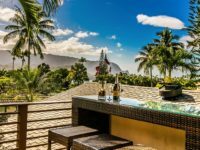 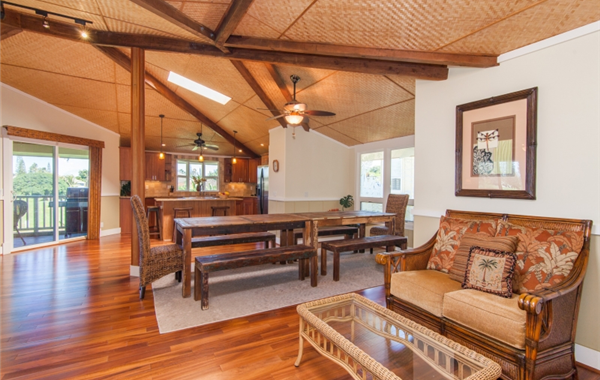 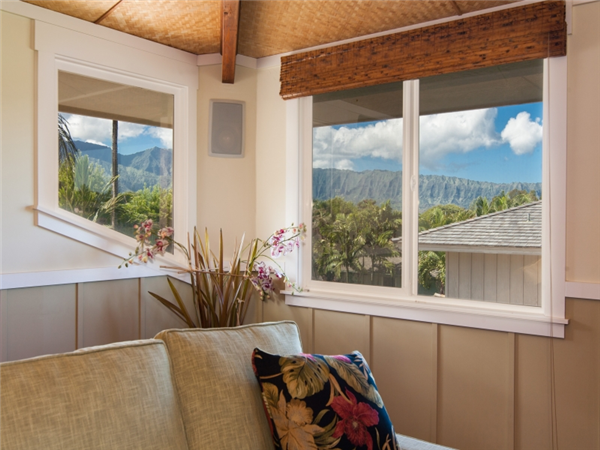 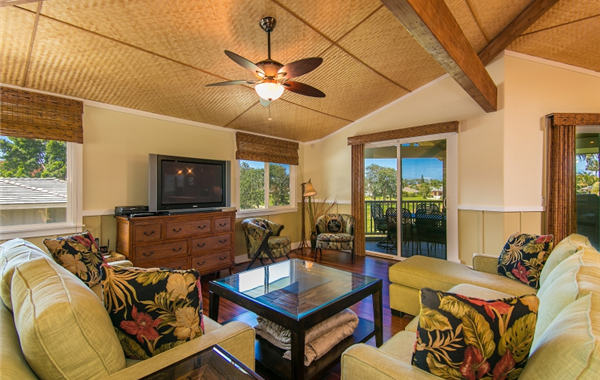 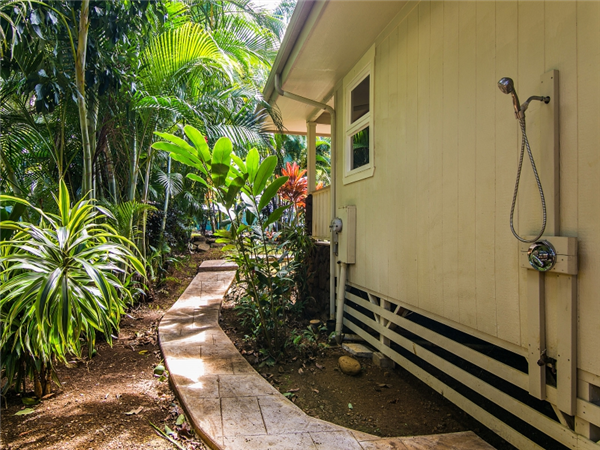 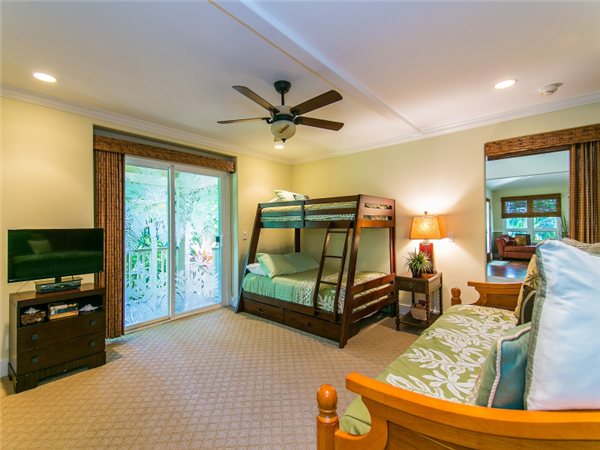 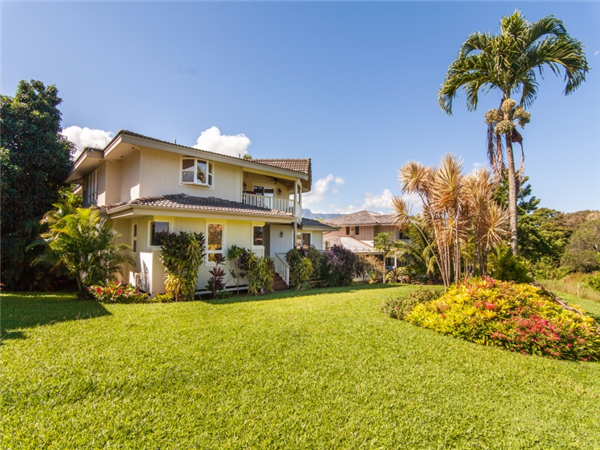 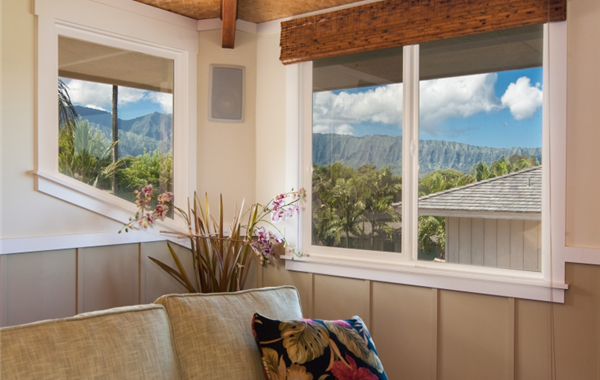 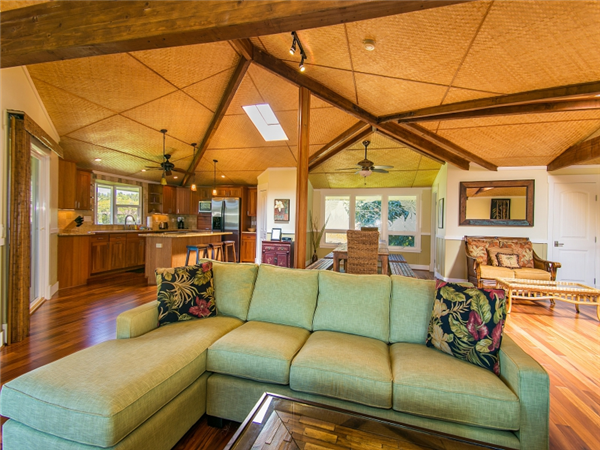 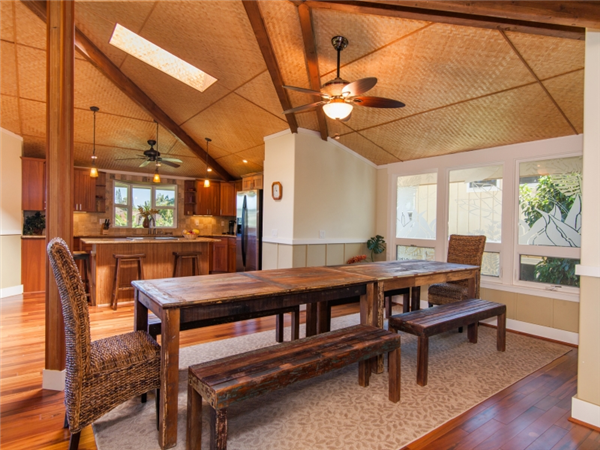 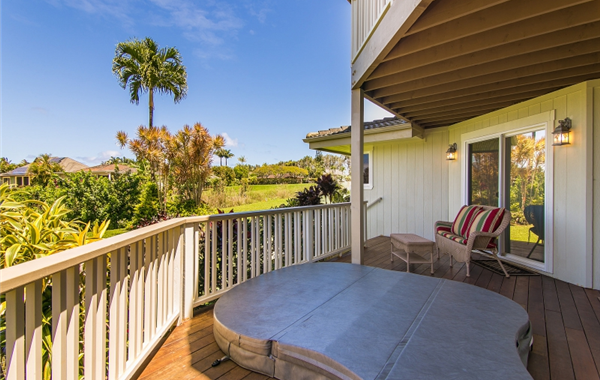 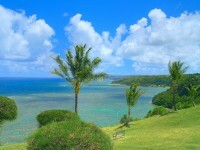 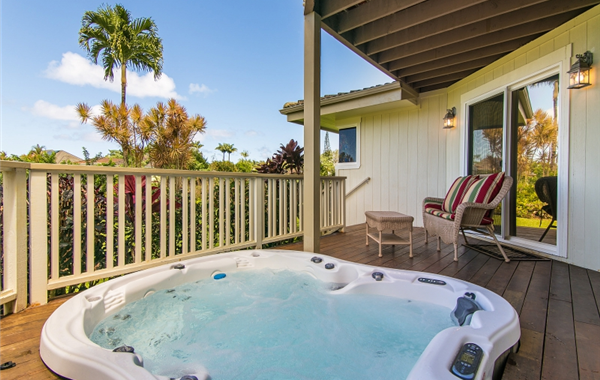 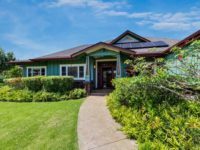 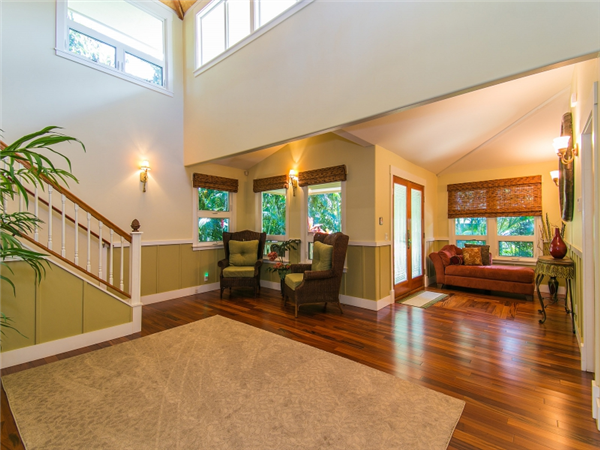 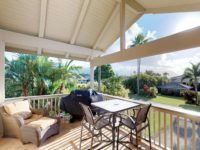 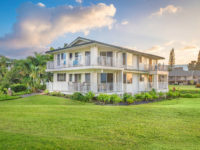 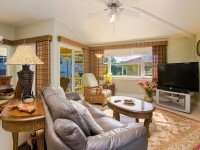 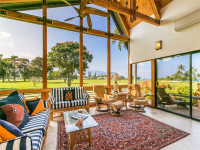 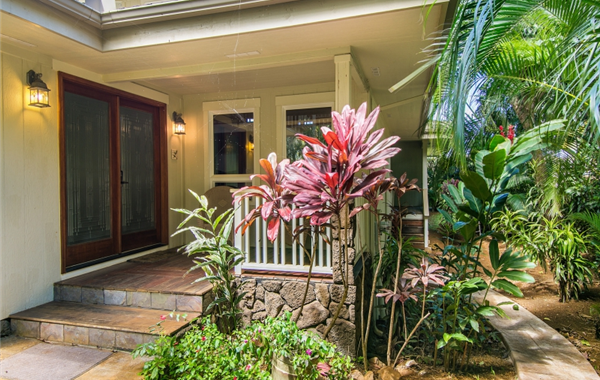 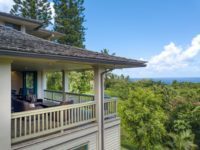 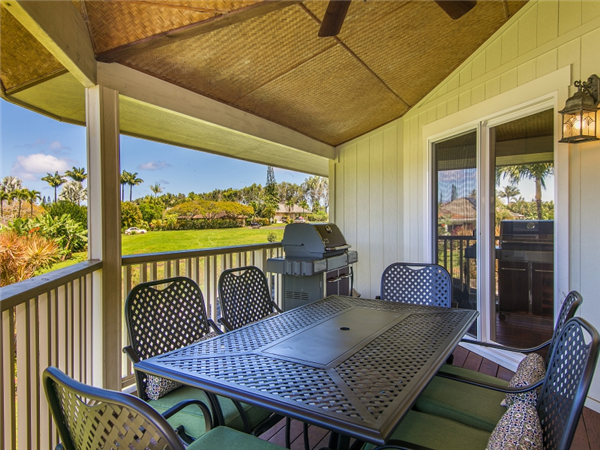 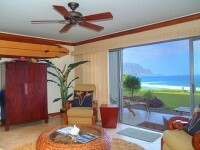 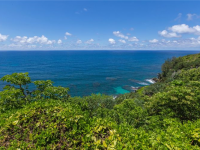 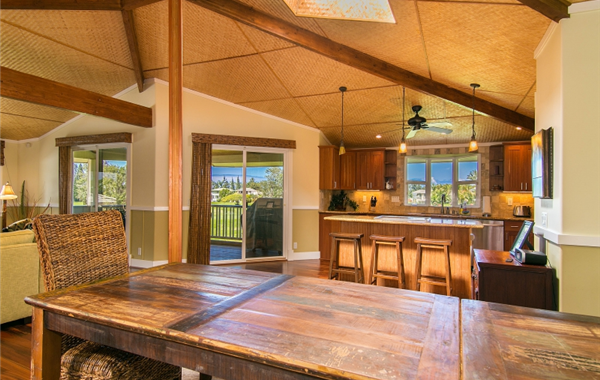 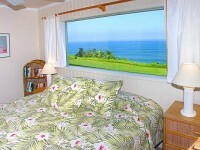 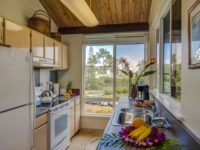 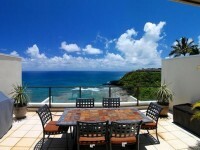 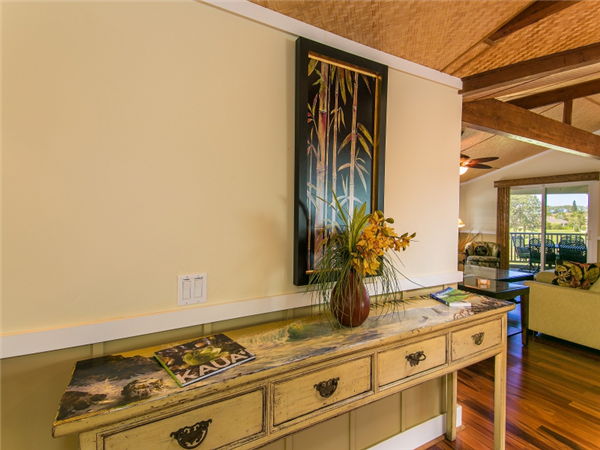 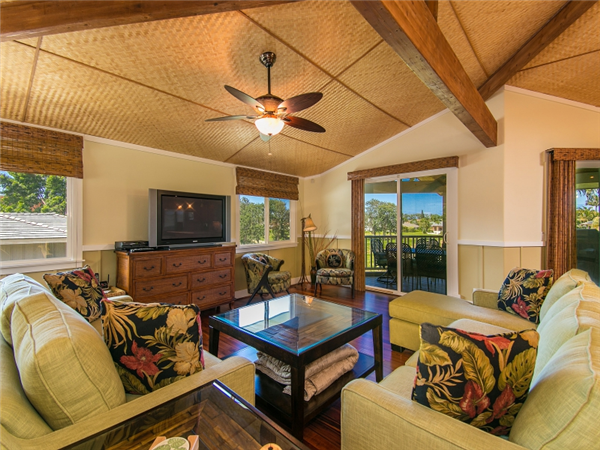 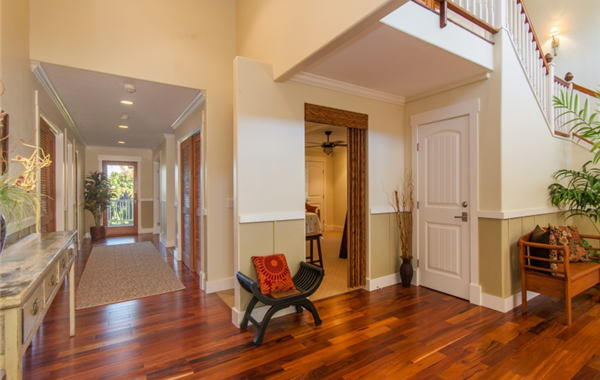 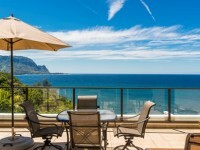 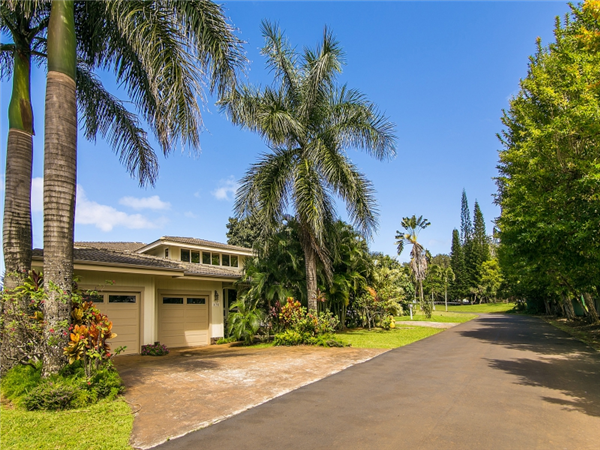 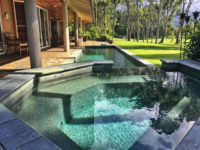 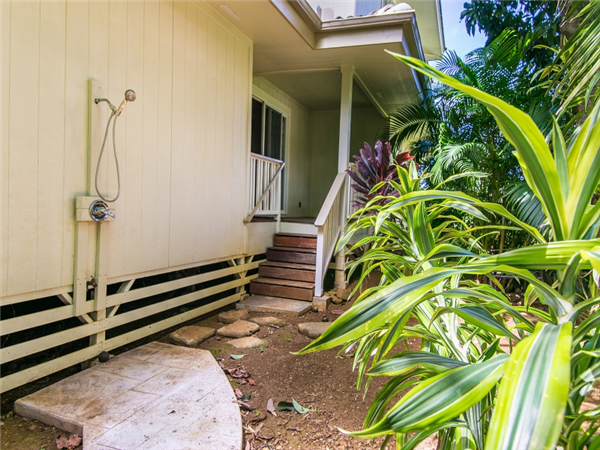 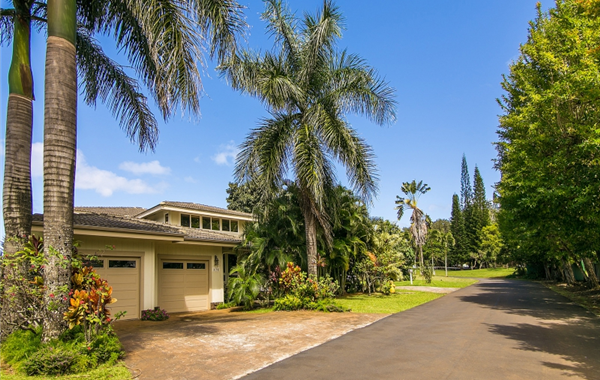 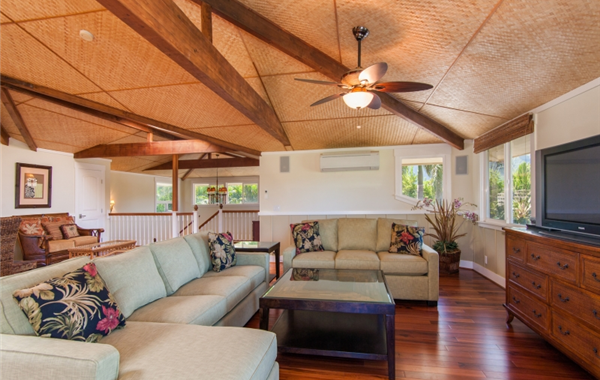 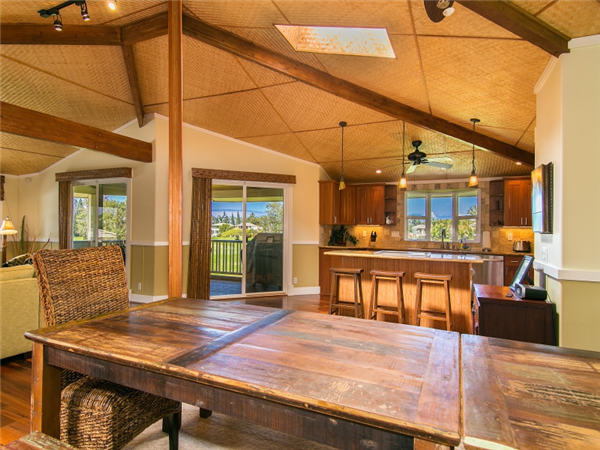 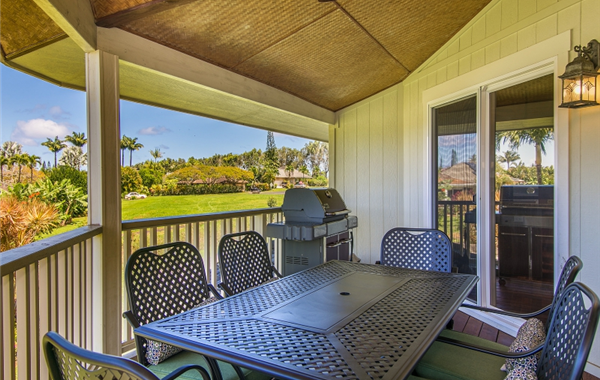 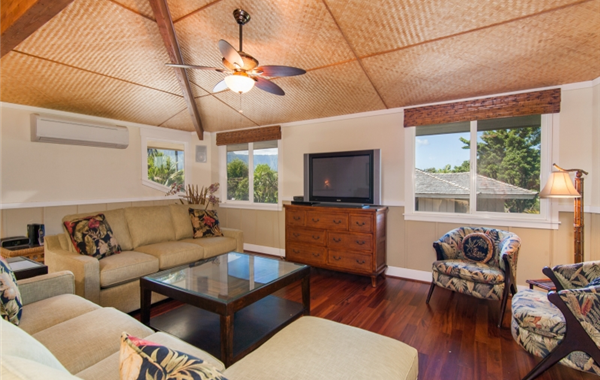 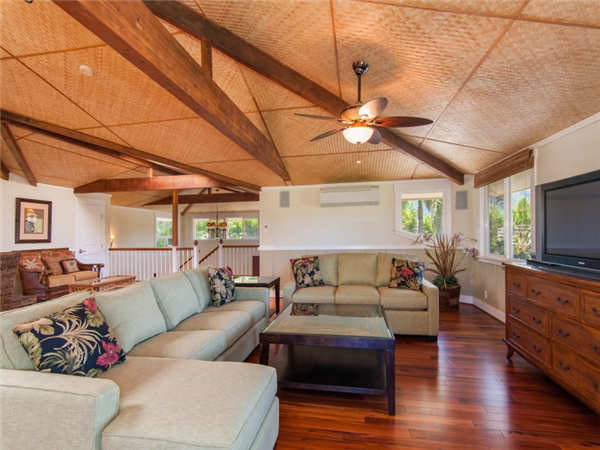 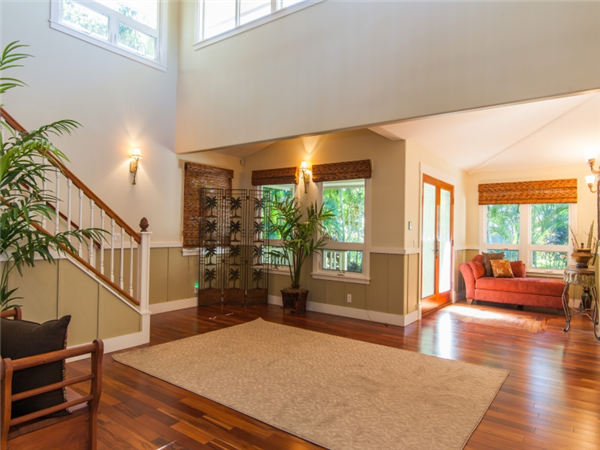 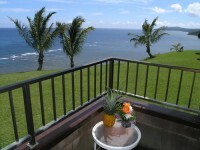 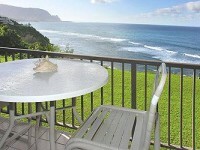 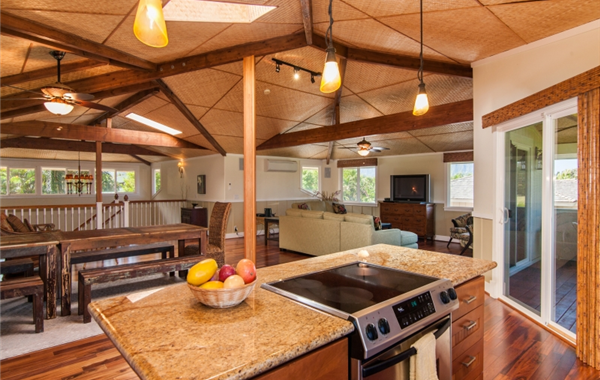 PRINCEVILLE, KAUAI VACATION RENTAL: Beautiful Lola Hale is a 4 bedroom, 2.5 bath home centrally located in Princeville. 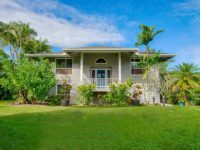 This spacious, upgraded home is the perfect property to enjoy while on vacation with your family and loved ones. 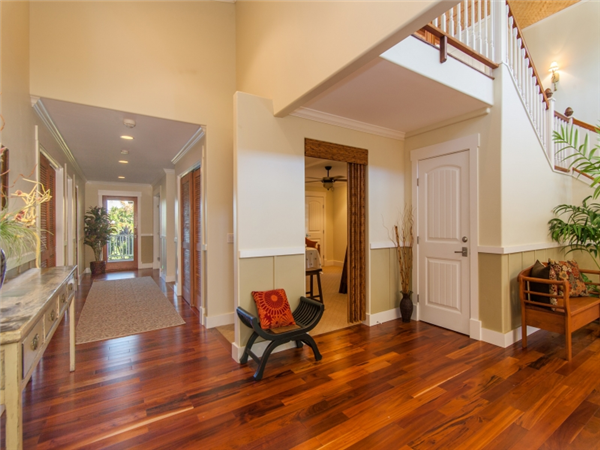 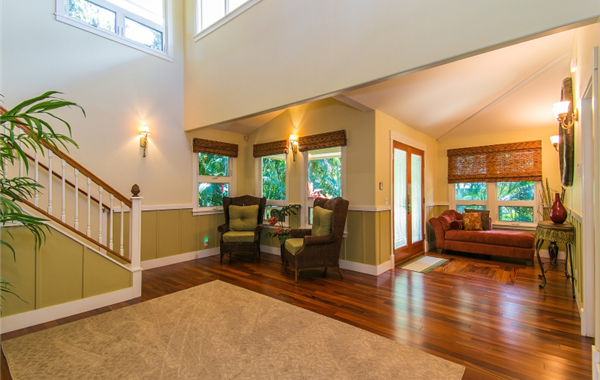 This two story house is approximately 3,400 sq. 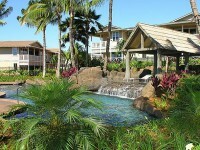 ft., newly built in 2006. 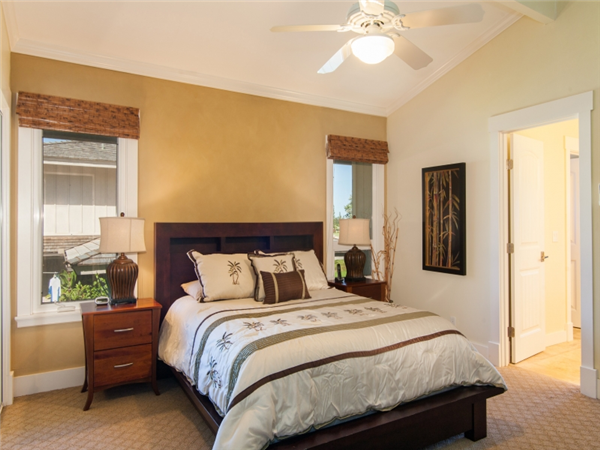 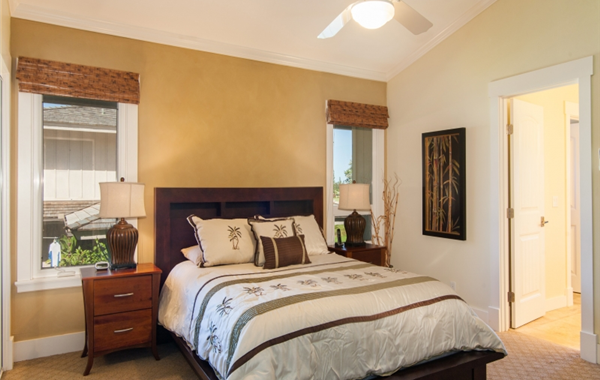 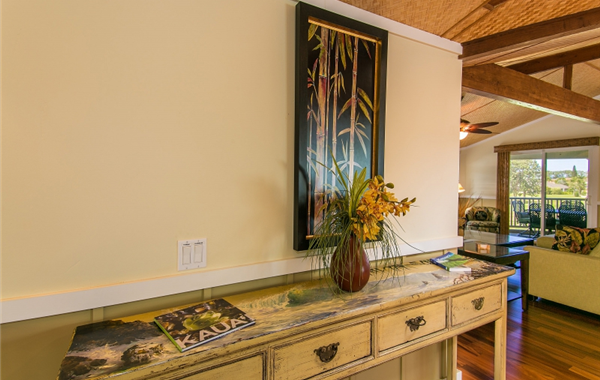 Some of the home’s wonderful features include gorgeous hardwood floors throughout the house, attractive art work, new furnishings, open beam ceilings and delightful bedrooms and bathrooms.